Here's one more picture from our trip to the pumpkin patch last weekend. I love the colors in this one, and the corn reminds me of back in the day when my family used to live in New Mexico. Visit Slurping Life for more SOOC Saturday. Another lovely and enjoyable SOOC! Thank you! I'm starting to think there must be a market for all the beautiful photography I'm seeing today [not mine]. Melody? Lovely and WOW that's a lot of pumpkins! I love this photo! Such beautiful autumn colors and textures. WOW, that image yells "autumn" beautifully. 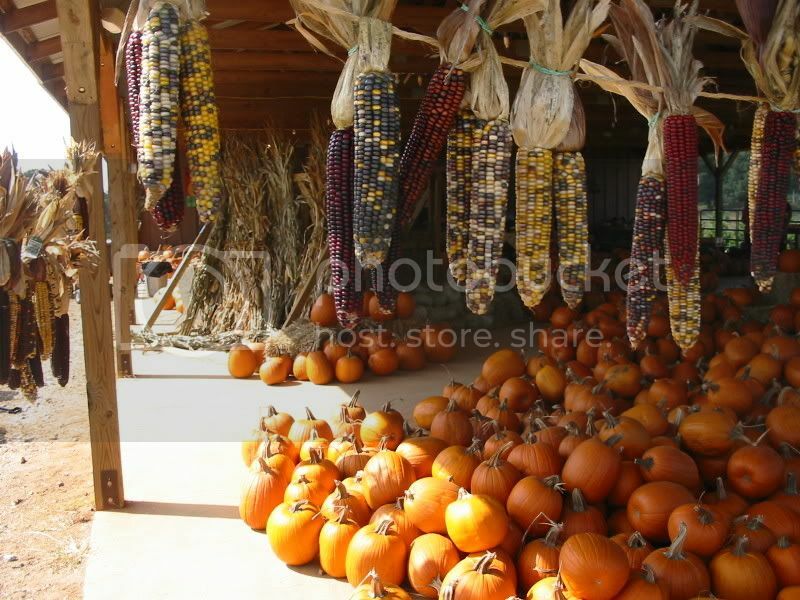 I always love going to the pumpkin farms and seeing the Indian corn hanging on twine...it says it's autumn to me. Ohhhhh...I looooove pumpkin pics! I almost listed one this time too! Awesome pic and great angle!